This week, I wanted to educate you on two of my favorite types of bets, the parlay and the progressive parlay. With these two wagers, you can arm yourself with the tools necessary to lose money like Chadam and I do. Excited? A parlay is when you combine several point-spread wagers into one bet. If you pick all the games correctly, you receive a big payout, but if any one of the teams loses, you lose your entire bet. There is a very high risk in this bet, but it also has a high reward. For example, if you think the Titans, Colts and Jets are all going to cover the spread, you could make three $10 individual bets on each team. If they all win, you win $28.56 in profits ($9.52 on each). 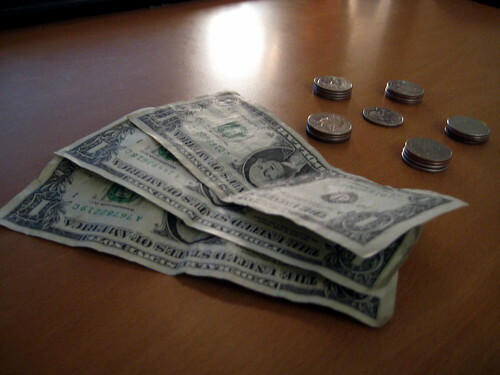 If you bet $30 on a parlay (+644) for those three teams, and they won, you would win $64.42 profit. At the same time, if one team lost you would lose all $30 in the parlay, but you would still make $9 profit from the three individual bets. You can do a parlay for any amount of game lines you want, but be cautious. Pick too many, and it’s a sucker bet. A progressive parlay is similar to a parlay but with different odds for how many games you correctly choose. For example, a four-team progressive parlay may pay (+400) if you correctly choose all four games and pay (+100) if you choose three of the four correctly. You have a little room for error in your picks. The reward for choosing all the games correctly is lower than a parlay payout, but you still have a chance of winning money even if you make one wrong pick. Progressive parlays change depending on how many games there are. The more teams in the progressive parlay, the more incorrect picks you can make and still win money — Chadam loves these bets. Chadam had so many lines he loved this week, he couldn’t choose just one to endorse as his favorite. He’s pimping a three-team, seven-point teaser with the Titans (-0.5), Saints (+4) and Jets (+4). Buyer beware. I like the Colts, Chargers and Jets in a three-team parlay. I might include the Titans and make it progressive…or just make both bets. This is my mini-upset of the week, and if Elisha’s chest injury is worse than Coughlin has let on, then I’ll be looking pretty good. So what if Giants lost to the Browns last week? The Giants will bounce back at home. I have no respect for Mike Martz, and I think the 49ers are overrated. That’s right, a 2-4 team is overrated. They have only beaten the Lions and the Seahawks while Seattle was injured. The 49ers won’t get more than five wins this season. Boom tho. If I were Fitzpatrick, I would be calling in sick to work this weekend. They’ll eventually win a game, just not this one. I think I got shafted last week because I picked the Bengals thinking they had Carson Palmer. This week, I know they don’t have him, just like I know the Bengals don’t have a chance in this one. I couldn’t believe it when coach Herm Edwards said the Chiefs defense looked amazing last week. Wait, they were on bye? And they were playing against the Chiefs offense? Well, that explains everything. All Chiefs’ players are going to be disappointed because they weren’t traded away before the trade deadline this past Tuesday. They are going to have no motivation to play hard, especially against a team like the Titans. Consider this game the rent money special. Yeah, I’ve decided that these two teams are the exact same, like clones of each other. Let’s roll with the home team on this one and see where it takes us. I’m not sure what to think about these teams after Chicago losing to Atlanta and the Vikings barely beating the Lions. Frerotte has played well so far, but I still don’t trust him. But only because I have to cheer for Trent Edwards for a month in a league where I lost Romo. Move over L.T., the Chargers’ offense now revolves around Philip Rivers. Rivers is getting it done, and I expect it to continue against the soon-to-be-exposed Bills. It’s like these two teams didn’t even play games last week. What a line. I have a feeling Nick and I will be selling kidneys to finance our wagering on this one. The Panthers’ confidence has to be a little shaken after the whooping the Bucs put on them. I expect the Saints to win if they run McAllister and keep dumping off to Bush in short screen passes. If they stick with that formula, I think they can take the division. The Rams took out Washington with a lucky fumble return and some field goals. I’m willing to bet that Brad “The Human Checkdown” Johnson can beat the Rams with Dallas’ new stud, Roy Williams. I love seeing the Cowboys exposed the past few weeks, but expecting the Rams to knock off two NFC East teams in a row seems a bit much. I’m going to take the points because I’m not really sure what to expect with Brad Johnson and the depleted secondary of the Cowboys. The only good thing about Miami is Dexter. It’s going to be tough for Joe Flacco to bounce back from his horrible showing last week against the Colts. I think this rookie has finally hit the wall. Here’s the answer to last week’s puzzle: Use the first letter of my picks to form a message for Sage. (Ed. Note: Look at Chadam finding creative ways to be vulgar.) A little late, I know, but the Indy loss still stings even after Sunday’s comeback over Miami. As for this week, I’m thinking the Texans will rush four and have the other seven defenders chase Calvin Johnson around now that Roy Williams and Jon Kitna are out of the picture. Did anyone see Dan Orlovsky run out of the back of his own end zone last week and not even realize it? Kids in Pop Warner don’t even make those kinds of mistakes. Expecting the Texans to win by more than a touchdown is tough, but I believe the Lions are that bad. Didn’t the Raiders just get pwned like n00bs by 31 points? I’m finding it really hard to hate on the Jets with these money-in-the-bank lines Vegas is providing. I’m not a fan of the Jets, but I love this bet. Maybe the Raiders will play hard for their new coach, but I don’t think it matters. No way the Raiders can stop Thomas Jones and Brett Favre, much less put up any points under the inaccurate arm of JaMarcus Russell. I hate to say it, but Peyton carved up a very good defense last week. I’ll give them the nod in a possible shootout. I am all about the favorites this week. The Colts finally found their offense just like I knew they would. Aaron Rodgers is about to get schooled by one of the premiere QBs in the NFL. Jeez, I’m going to be putting a lot of money down this weekend. So much for The Zorn Supremacy. I had the stupid Redskins in an Eliminator league. Guess how that worked out. Anyways, I want to see Cleveland look good one more week before I pay them respect. This is an interesting matchup because both teams performed the polar opposite of what we expected last week. The Redskins lost to the winless Rams and the Browns knocked off the undefeated reigning Super Bowl champions. I’m sticking with the Redskins because, looking at the stats last week, I determined that they should have won if it wasn’t for all those turnovers — very uncharacteristic of them. Tampa Bay is like an adopted son to me, and they are one preseason favorite of mine that is actually panning out. By the way, I visited Tampa Bay this past weekend for some boozing and baseball. If you get a chance, hit up Mons Venus. 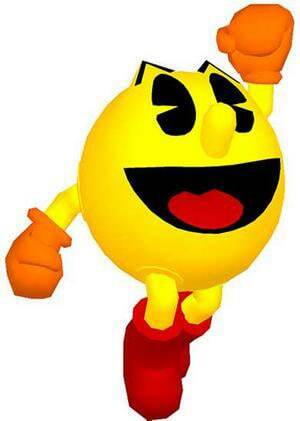 Pacman would give it two thumbs up. I’m guessing the Bucs will be a little cocky after last week and let their guard down. As the Rams showed us, any team in the NFL is capable of winning on any given Sunday…except the Lions. I hope the Broncos blow this game open and look good doing it so Nick will be tempted to wager on them again. I will finally admit it; the Patriots are worthless without Brady. They just can’t seem to get any offense going. I know Belichick is using running back by committee, but he just needs to pick one so they can get some rhythm and continuity going in that offense. Matt Cassel isn’t going to provide any, so he might as well try out a running back. I think they are capable of winning this game by 10 points, but I just don’t trust them anymore. I’m going to take the points, but the Broncos are still in my doghouse.